For me the leap into serious cake decorating came when I started using fondant. A coworker talked me into it, as she has been using it for years and assured me it’s easier to work with than you might think. You just buy it, roll it out, and ease it onto the cake. I decided to pick some up, but before I drove around looking for it I checked the websites of a couple nearby stores to make sure they carried it. So I did some more searching online to find a better option and decided to trust the Cook Duke that fondant really is something that can be made at home. Printable version (PDF): Fondant Recipe_YearOfCake. This recipe makes enough to easily cover a 9” round, two-layer cake, with some to spare. It will last a long time in the fridge, so if you’re not sure how much you’ll need, err on the side of making extra. Food-grade glycerin is available at stores like Jo-Ann Fabrics & Crafts or on Amazon. I use Wilton’s. Lint from your clothing can easily discolor fondant – even a small piece will be very noticeable – so don’t wear fuzzy sweaters while making or handling fondant. Regular (brown) vanilla extract can be used in white fondant with only the slightest discoloration, but if you want the purest white, use colorless extract. You can find it at Jo-Ann’s right next to the glycerin. If corn syrup is not available, you can substitute it with sugar syrup made with 1-1/4 cups sugar and 1/3 cup water, boiled together until syrupy. Sprinkle thegelatin over cold water in a small microwave-safe bowl and let it rest for 2 minutes to soften. Place the bowl in a microwave for 30 seconds on High, until the gelatin dissolves. Add the corn syrup and the glycerin and stir until the mixture is smooth and clear. If the mixture is not turning smooth and clear, microwave it for an additional 15 to 20 seconds on high and stir again. Sift 1 1/2 pounds of the sugar into a large bowl and the remaining ½ lb. plus some extra (another 1 cup or so to be safe) into a small bowl. Make a hole in the sugar in the big bowl and pour the liquid mixture to it. Stir with a wooden spoon until the mixture becomes sticky. Sift some of the remaining 1/2 pound of sugar onto a smooth work surface and add as much of the remaining sugar as the mixture will take. Rub the vegetable shortening on your thumbs and knead it into the fondant. Wrap the fondant in plastic wrap and place it in atightly sealed container to prevent it from drying out. Store in the fridge if not using right away. It will last for weeks. Bring to room temperature before kneading. * If the icing dries out and hardens it can often be revived by popping it into a microwave oven for a few seconds and then kneading it back to life. Use gel food color to dye fondant – drops will add too much liquid and will not color as well. Always dye more of the fondant than you think you will need; exactly color matching a second batch is virtually impossible. Food processor: This is the fastest and easiest method but only works when dyeing less than half a recipe, unless you have a HUGE food processor. Add fondant (half recipe or less – more than that will likely jam up in the processor) and a small amount of gel color to processor and mix it for a few seconds. You may also need to add additional powdered sugar to firm it back up after processing. 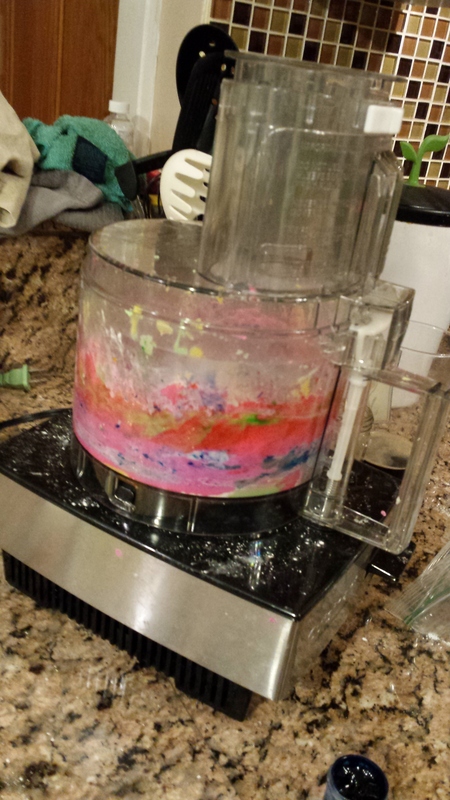 This is the most excitement my food processor has seen in a while. Hand kneading: For dyeing a large amount of fondant, or if you find kneading cathartic. Wear food preparation gloves coated with powdered sugar or cornstarch to keep from dyeing your hands too. Knead the color into the fondant. Start with a small amount of color and add more until the desired color is reached. Make sure you are not wearing fuzzy clothing that can shed into the fondant! 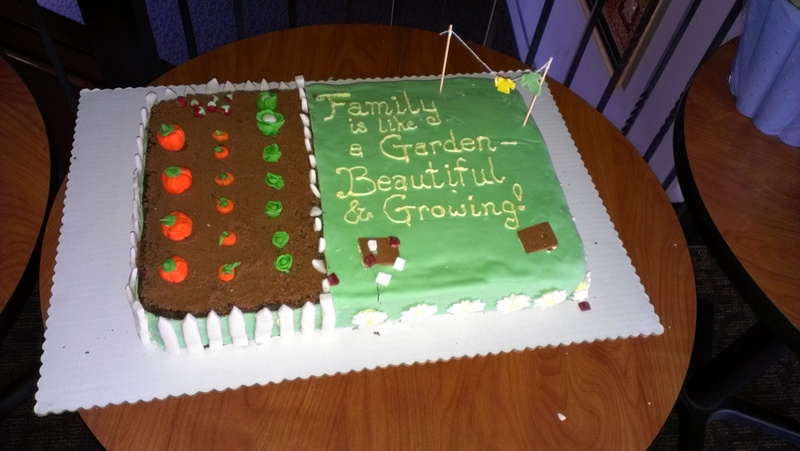 This huge cake required a lot of fondant, so hand-kneading was necessary. Painting: This is good for a glossier look or for very dark colors, or if you change your mind after already putting the fondant on the cake. After applying fondant to the cake, dilute gel food coloring with vodka (you can use water, but vodka dries more quickly and better). Use a clean artist’s paintbrush to apply the color to the surface. 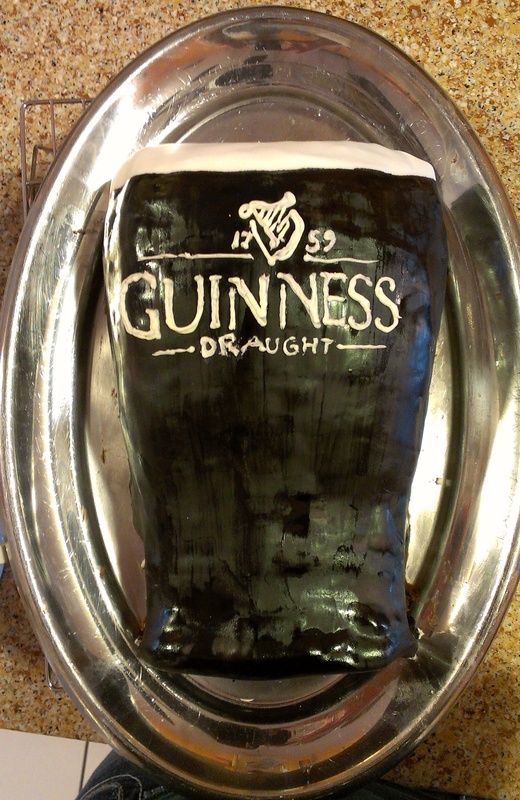 It doesn’t stick very well, so you may need two coats at least (the Guinness cake below required 3 or 4). Clean a large, smooth surface and dry completely. Remove any rings or jewelry, and wear clothing that won’t shed lint. Sprinkle work surface with powdered sugar OR spray with cooking oil. Prepare the cake by coating it generously with a layer of frosting or ganache, smoothed out as much as possible. Bumps and ridges in the frosting will show through the fondant. Roll out the fondant on your work surface, being careful to keep it from sticking. Use powdered sugar (or cornstarch or cooking spray) generously on both your rolling pin and the surface, reapplying often, and constantly turn the fondant to make sure it’s not sticking to the surface. Fondant should be at least ¼” thick, and thicker is better. The thinner the fondant, the more likely it will tear and the more ridges from the frosting will show through. Make sure your fondant is large enough to cover the cake all the way down. Then use your rolling pin to lift the fondant onto the cake. Use a fondant smoother (or something flat with rounded edges – sharp corners will scratch the surface of your fondant) and start from the center of the top of the cake and smooth outward to remove creases and air pockets. Air bubbles can also be removed with a pin inserted on an angle. After the top is smooth, do the sides. Cut excess fondant from around the bottom of the cake. Hide the rough edge around the base of the cake with extra fondant twisted into a rope, frosting decorations, or candy or other garnish. If you ripped or dented your fondant in the application process, use a bit of vegetable shortening to soften and work out the imperfection. Or cover it with a flower. A cake covered in fondant will last several days at room temperature without drying out because the fondant seals out the air. If you need to preserve it longer than that, wrap tightly with plastic wrap and put in the fridge or freezer. Bring it all the way back to room temperature before unwrapping to prevent condensation from causing your fondant to slip and your colors to bleed.